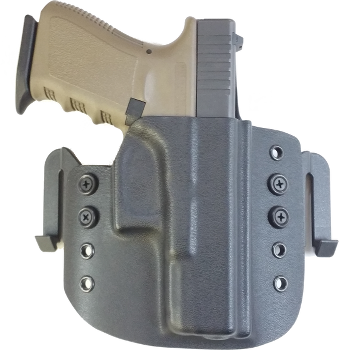 This holster was designed to be worn on your belt. 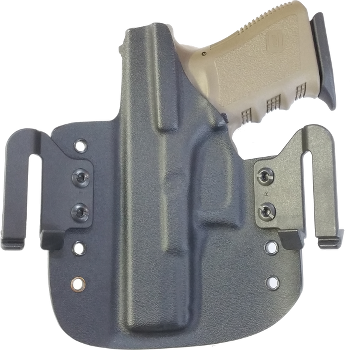 It is a super comfortable holster for all day wear, and holds your firearm snug and close to your body. There is no need to thread your belt through the holster. The Speedy Clip allows you to clip it on the outside of the belt. The clip locks up good and tight under the bottom of the belt, so it will not come off when you draw. 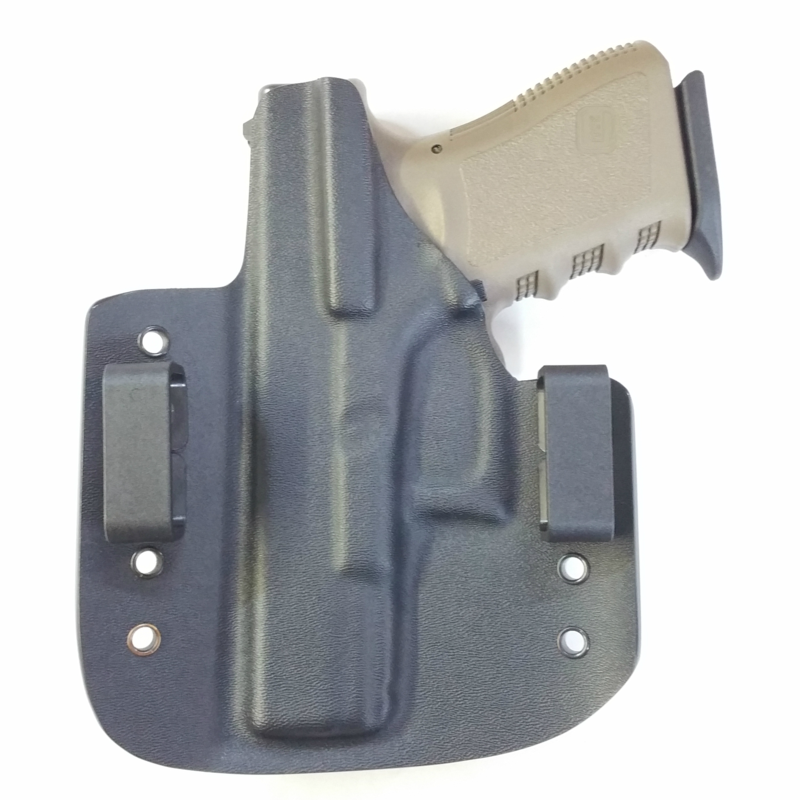 This holster will conceal easily with a loose cover garment. You will find the same quality and craftsmanship in this holster as you do in all of our other handcrafted products.